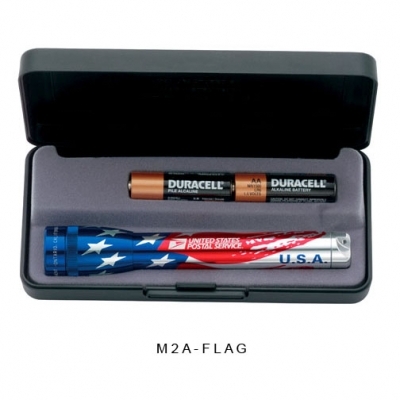 Mini MagLite® American Flag Flashlight with your Corporate Logo! The patriotic Mag-Lite with the American flag design wrapped around it. Includes 2 AA batteries and a durable presentation box. 5 3/4" AA Mini Mag-Lite® with American flag design. Includes 2 “AA” batteries. Packaged in a sleek presentation gift box. Price includes your corporate logo laser engraved on either the head or barrel. Color: Full color USA Flag.